There's no available game right now. 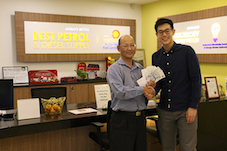 Contact us at enquiry@bestpetrol.com.sg to find out more! Log in to view your game history. Your game tokens earned per month is determined by the litres of fuel pumped in the previous month. 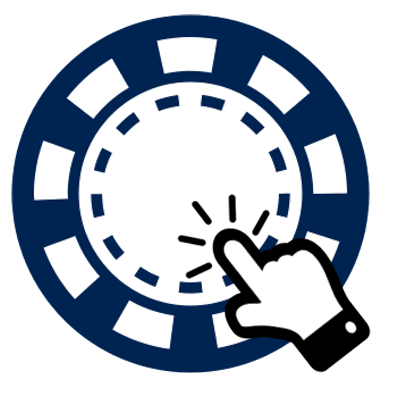 If you see more game tokens available for play than in your month's history, fret not! We occasionally give free game tokens to our star drivers. See your rewards in each month under 'Rewards won'. Rewards which are currently 'Pending' are being processed for you at the moment. Still unsure? Call us at 68982525 during office hours, we are happy to assist you. Log in to view rewards for this month. Wonder what rewards can be won by playing your game tokens? You're at the right place! The rewards are refreshed each month, so check back again soon for more rewards. Remember pump more to win more! 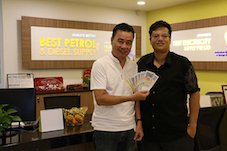 The rewards listed are available for this month’s campaign only, subject to changes by Best Petrol Diesel & Supply Ltd. Already a Shell card holder? 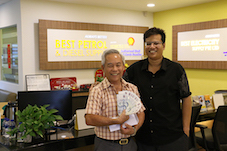 Dear BEST Shell Taxi Member, call us@ 68982525 to confirm your address before we mail out the vouchers to you.TQ!